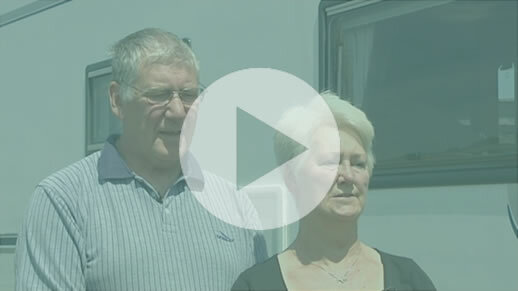 "He was so easy to talk to and explained every detail to us in 'proper' language." 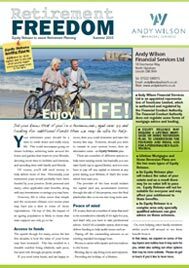 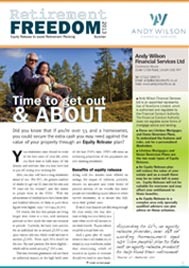 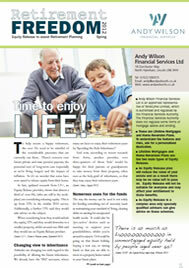 You can view the latest Equity Release Newsletter by clicking on the picture below. 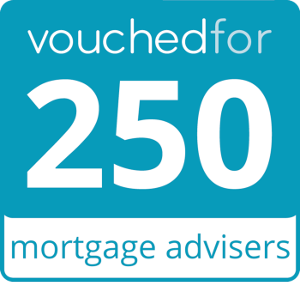 This will open in a new window. 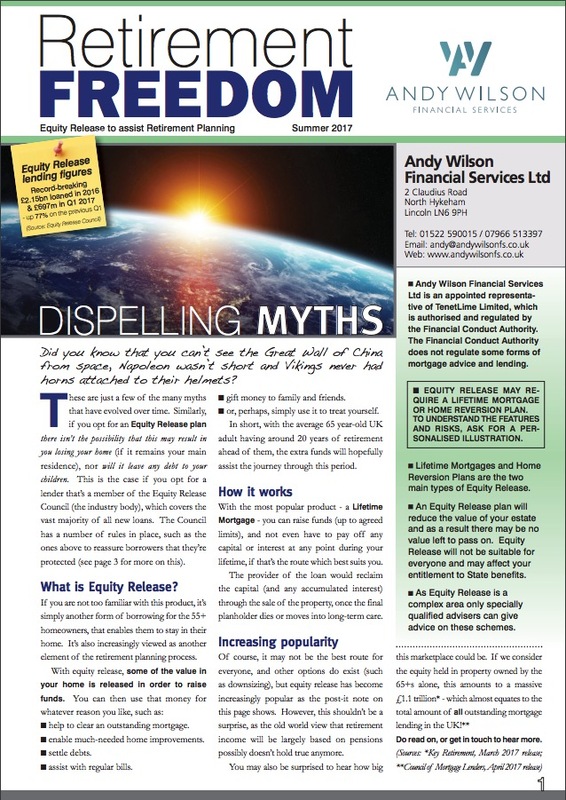 We will publish the latest newsletter roughly twice-yearly, and if you would like to receive our newsletters by email please sign up to our Equity Release Newsletter below. 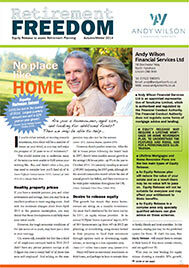 Subscribe to our newsletter to receive the latest free information about Equity Release. 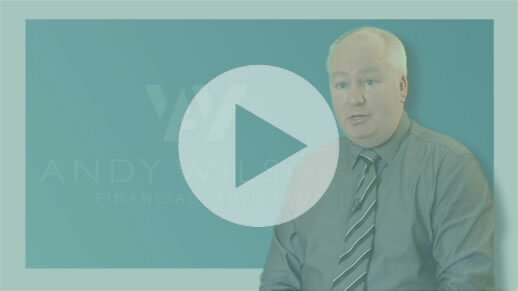 Andy Wilson Financial Services Ltd is an appointed representative of Tenet Lime limited, which is authorised and regulated by the Financial Conduct Authority. 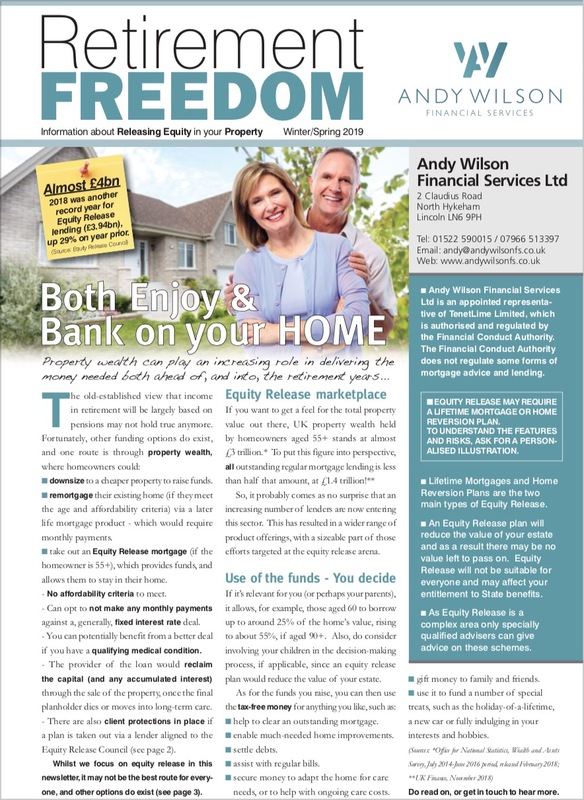 Tenet Lime limited is entered on the Financial Services Register (www.fca.org.uk/register) under reference 311266. 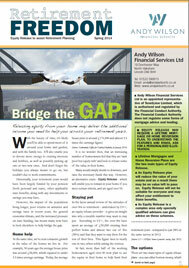 Andy Wilson Financial Services Ltd is Registered in England and Wales under reference no: 07547809. 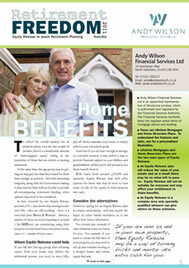 Registered Office: Landmark House, 1 Risenholme Road, Lincoln, LN1 3SN.